With Valentines Day being around the corner, I'm sure everyone is being bombarded with everything pink. 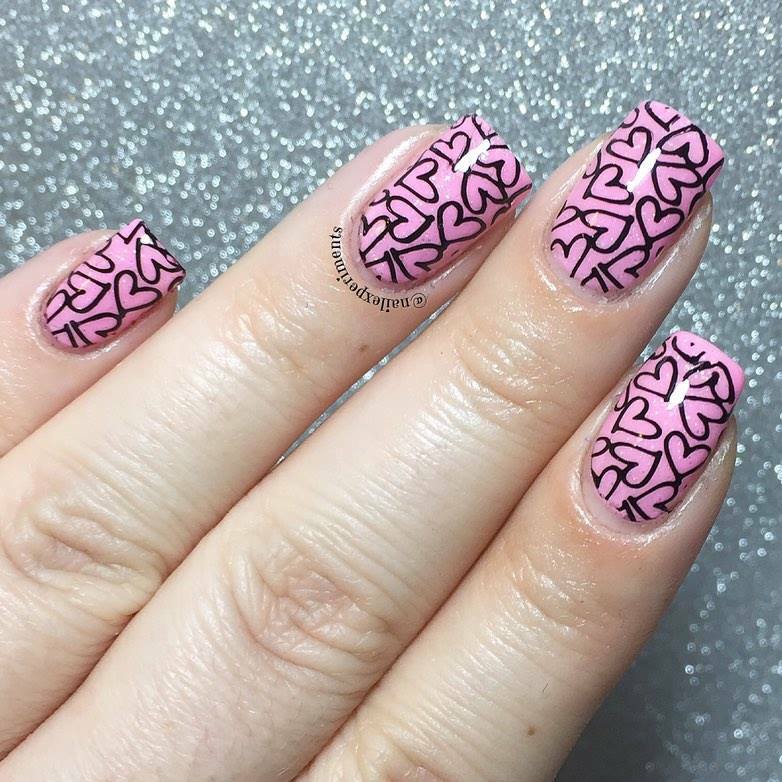 I'll always love pink, and a it's a reasonable excuse to have fun with pink themed manicures for the upcoming holiday. Pink .. red .. hearts .. IT'S EVERYWHERE! This manicure is super simple, and quite easy to achieve! 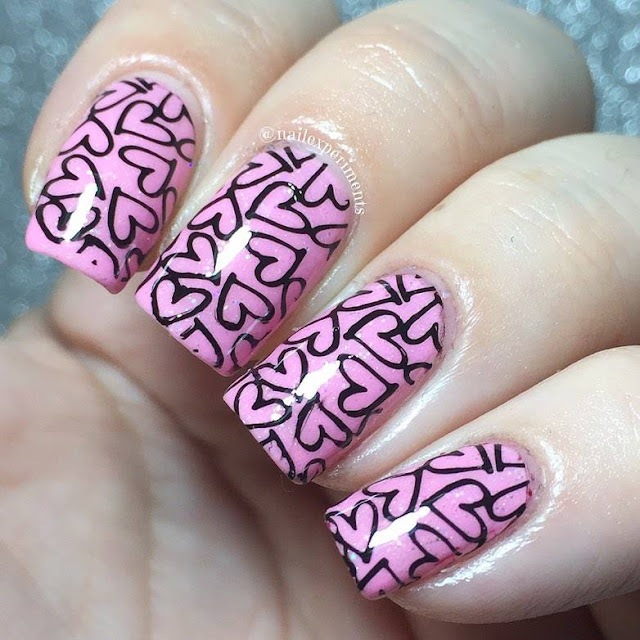 I began by applying 2 coats of Beyond the Nail's Dreamhouse (one of the polishes from the Valentines Day trio release, which can be found HERE), and topped off with a fast drying topcoat. I proceed by applying 2 coats of my NailExperiments Easy Peel latex barrier (which can be found HERE), on the skin surrounding the cuticle. Once dry, using my clear jelly stamper (which can be found HERE) I stamp all nails. 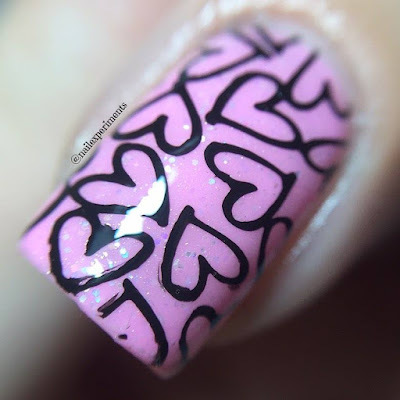 I used black Konad stamping polish, paired with Born Pretty Store stamping plate BP-L013 (which can be found HERE). Finish off by applying a fast drying topcoat to seal it in, and that's it! Born Pretty Store has very inexpensive nail art supplies, and it's one of my favorite places to shop for nail stamping plates. They have a very extensive selection of a variety of items including; nail supplies, makeup, fashion and more! BPS (born pretty store) ships free worldwide, super inexpensive and paired with great quality. Want to make a purchase? Feel free to use and abuse coupon code EXPX31 to save 10% off on all future purchases, and can be used multiple times with no expiration date!